Alright whats up!? It’s me, back at it again, another year absolutely ridiculous articles. I am currently writing this to spite my friend. So without further ado, I will be showing you the most fashion forward, most comfy, and over all the best of the best flannels. 1. 2018 Newest Women Fashion Plaid Shirt Long Sleeve Open Shirt Spring Autumn Casual Fresh Button-down Shirt (Price $7): Okay! 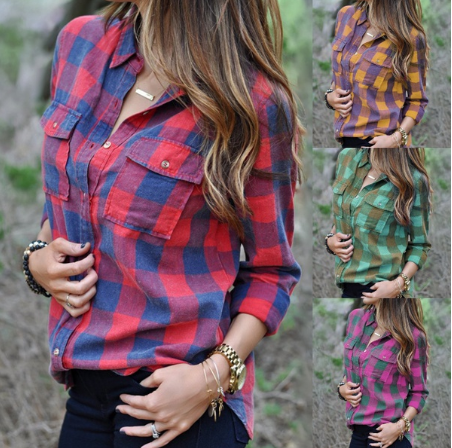 Starting off strong with a $7 option for a flannel on Wish.com. This flannel looks really great (especially for the price of under $10). So you could just get anything in the mail. From the pictures on the site, it looks like a great option for people who are balling budget. 2. Men Flannel Checked Long Sleeve Shirt (Price $29.90): Next up on our list. We have a pretty reliable brand Uniqlo. And what they specialize in is a type of clothing called “Tech wear”. Which basically means its functional clothing. But they do it for pretty cheap. They have a lot of selection (which is great for me). They have many different shades, and patterns. It is also rated 3 stars on their website. A perfectly average shirt for a perfectly average person. 3. Off white Flannels (Price: $339): Coming in at number three. Here we have one of the more expensive options for a flannel. This is a option for you high rollers out there. Now why would you pay over $330 for something that you could get for $7? Well…. I can’t really give a good answer other than telling you “you are not paying for the flannel, you’re paying for the name”. And if you get this then you will 100% be praised by all the pretentious children of this generation or the wild breed of “hypebeasts”. And I would say that if you had some extra cash and you would like to treat yourself to a high quality flannel, then I would definitely consider this as an option. 4. Anti Social Social Club (Price: $160): Alright, now this one is another “high roller” option. But in my defense…. I don’t have a valid argument. It just looks nice and you will be considered a “hypebeast” and as the kids say “hip” if you wear it. So basically the same concept, you aren’t paying for the material or quality of the piece, you are paying for the name. Other than that, it’s a regular flannel, nothing special. 5. ililily Women Checkered Longline Knee Length Sherpa Lined Flannel Shirt Vest Trucker Jacket (Price: $35.99): Okay, last but certainly not least! Here we have *tries to find the right words* in my opinion, the best flannel ever made in the history of flannel fashion. 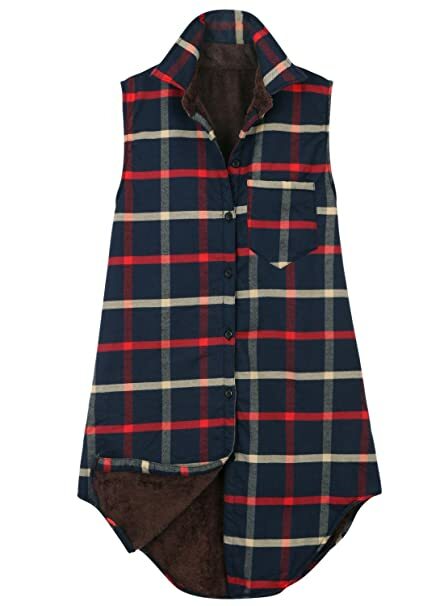 This “Women checkered Longline knee length sherpa flannel shirt vest trucker jacket” is amazing. You can wear it anytime, anywhere. Because of its wide fit, you can wear it as a dress, or just a casual work, or home flannel. It’s 65% cotton, so it’s soft as well as stylish, and sleek. You can buy it for anyone, and it will be the perfect gift!